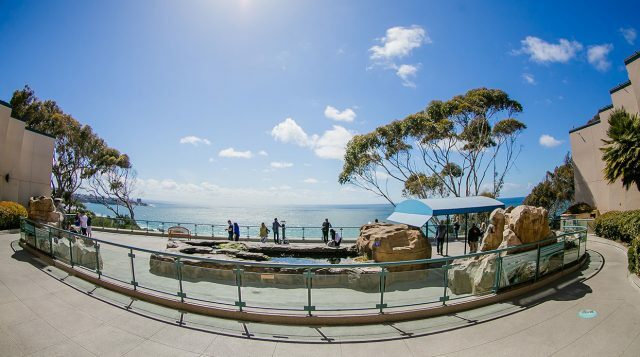 Perched high on a bluff on the lovely La Jolla shoreline, Birch Aquarium at Scripps invites visitors to get up close and personal with the creatures of the deep. 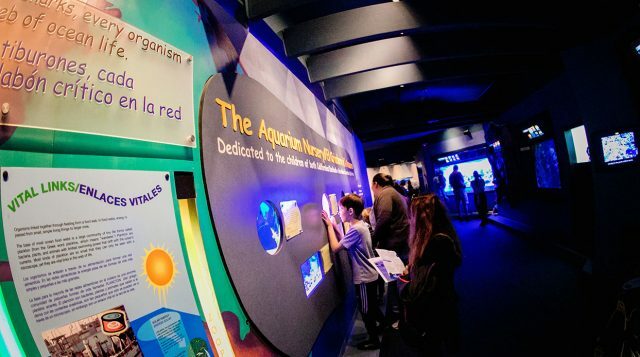 Tanks of colorful fishes are only the beginning, as Birch Aquarium boasts an array of unique adventures, exhibits and excursions that will leave you enriched, enlightened and itching to further explore the ocean. 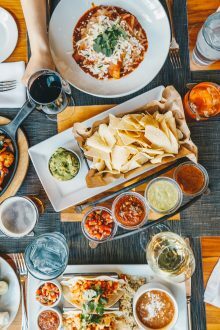 If you’re headed to San Diego this spring or summer, you definitely won’t want to miss all Birch has to offer. It would be hard to miss this massive forest of Giant Kelp, which is housed in a two-story, 70,000-gallon tank at the Aquarium. 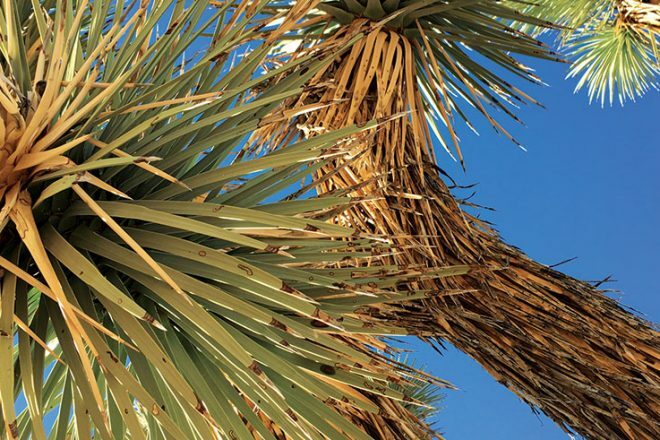 The fastest growing organism on Earth (a single stalk can grow up to three feet in one day! 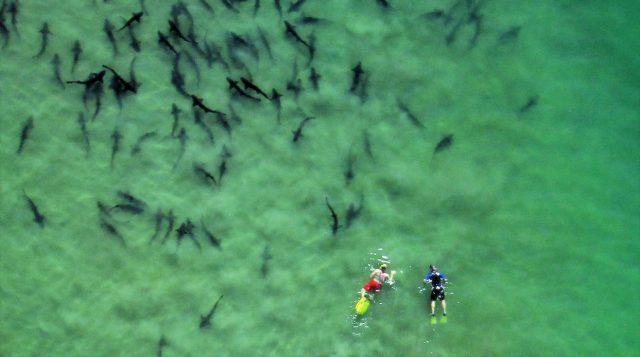 ), Giant Kelp is plentiful in the waters around San Diego, and provides a safe home for tons of marine creatures, including Leopard Sharks, Moray Eels and Giant Black Sea Bass. You can see all of these animals in the Giant Kelp Forest at Birch Aquarium, and even catch the Dive Shows where divers swim among the kelp to feed the fish. 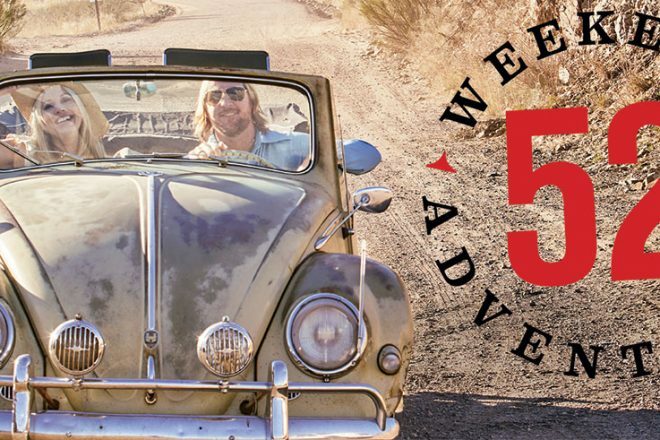 Swing by the Magdalena Bay exhibit in the Hall of Fishes to say hello to a modern marvel. When she was rescued in 2014, this Loggerhead sea turtle had suffered some traumatic injuries that resulted in a gap in her shell, an abnormal curve of her spine and paralysis of her back flippers. 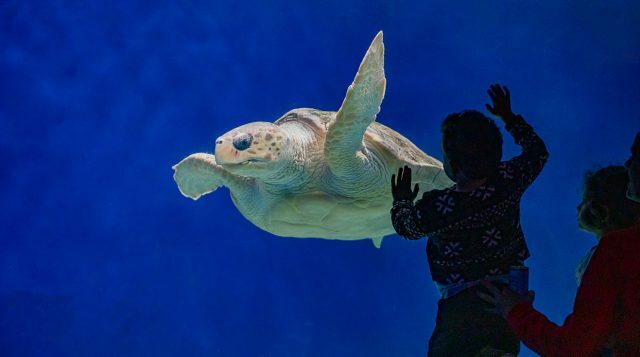 As she continued to grow, her conditions worsened, so Birch Aquarium teamed up with the Digital Media Lab at UC San Diego to create the first 3D-printed shell brace for this tenacious turtle. Now, the lucky Loggerhead swims to and fro in her new brace, which promotes more normal growth and prevents her injuries from worsening. Every Tuesday and Thursday at 3 p.m., you can watch the staff feed and train this resilient sea turtle as they continue her care. Another fun exhibit to watch for in the Hall of Fishes is the Nursery, where you will find an ever-changing array of adorable sea babies—from Garibaldi and Flamboyant Cuttlefish, to seahorses and Swell Sharks. 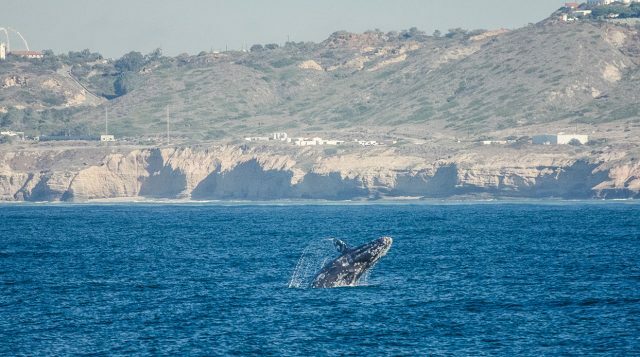 Not every run-of-the-mill aquarium can boast world-class views like Birch Aquarium can. Located right outside the main exhibition halls, a spectacular ocean vista awaits visitors at the Tide Pool Plaza. It’s one of the best spots in town to catch a sunset over the Pacific. 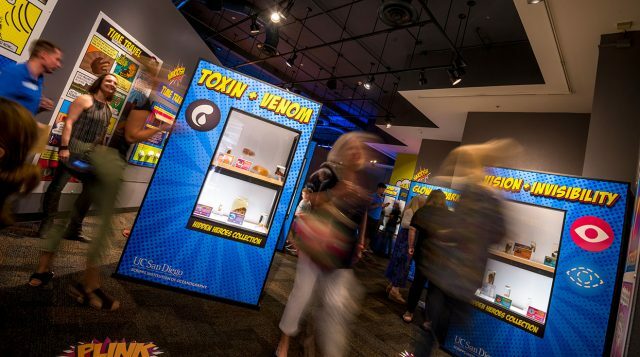 Inspired by the heroes, monsters and aliens you might find in the pages of a comic book, this new exhibit highlights the astonishing superpower-like adaptations of ocean species.  Curated in partnership with the Scripps Oceanographic Collections, the exhibit features preserved examples of some of the most unique animals from the sea, and teaches guests what it takes to collect scientific samples. Your little ones will love discovering weird and wondrous creatures with amazing abilities such as invisibility, super vision and electricity. 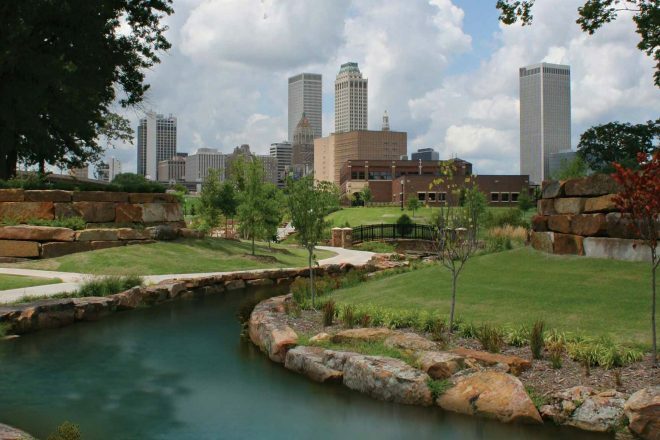 A world-class aquarium that offers numerous summer camps for kids ages four to 15? 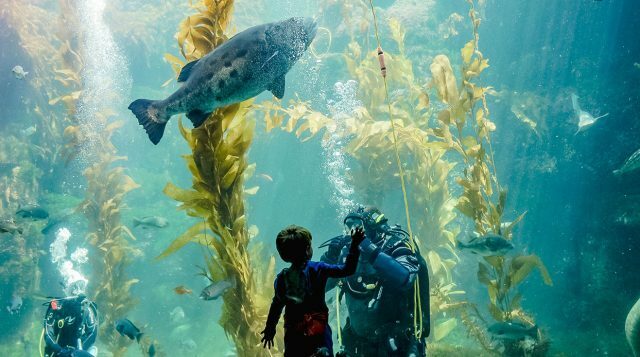 Seems almost too good to be true, but at Birch Aquarium your children will be immersed in all things oceanic all summer long. 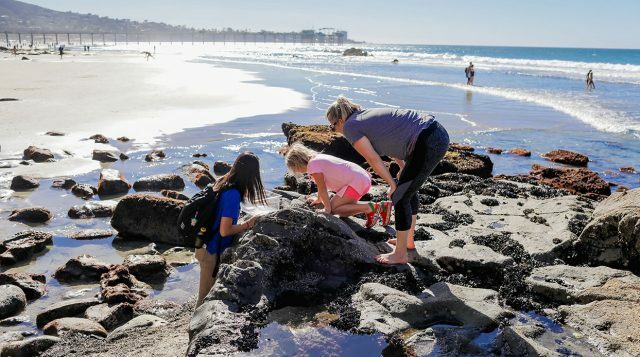 Little ones aged 4 to 7 can enjoy half-day camps located at the Aquarium where they’ll learn about marine life, while older kids aged 8 to 15 get to explore the surrounding San Diego area during awesome adventure-based camps. 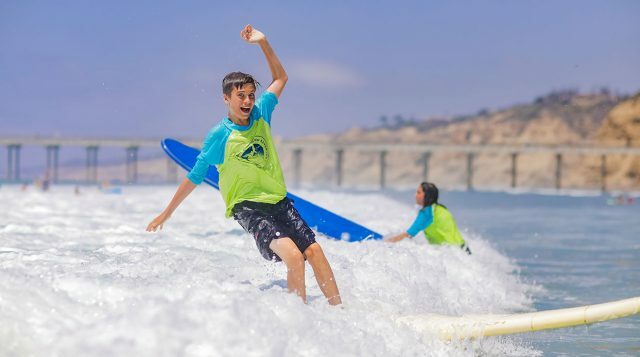 Hands-on activities, surfing, snorkeling and marine biology lessons take place at locations including Mission Point, La Jolla Shores and Scripps Institution of Oceanography. Prices and dates vary. In the Hall of Fishes, you’re bound to find yourself face to face with tons of, well, fishes. 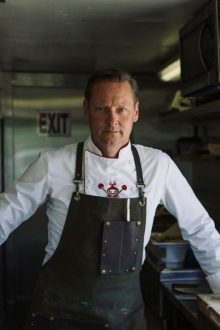 But keen-eyed guests might be able to spot a different kind of marine creature hiding in her den: the Giant Pacific Octopus. 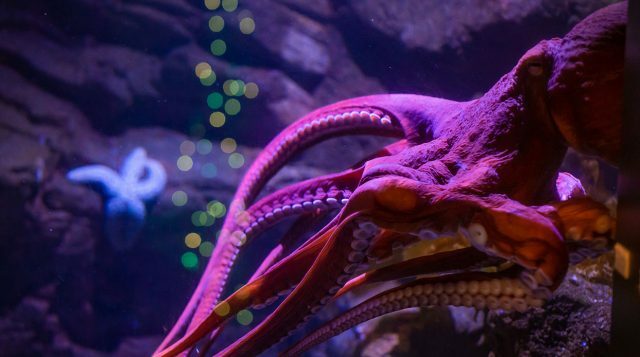 A favorite among visitors and staff, this magnificent cephalopod is incredibly intelligent—she knows how to solve puzzles and open jars—and she’s a master of disguise. Her ability to change both the texture and color of her skin allows her to camouflage herself against her surroundings, making her an expert hunter. Growing up to 15 feet across and sporting 2,240 suction cups along her eight dexterous arms, this Giant Pacific Octopus is a beautiful and highly complex animal you won’t want to miss! Visit aquarium.ucsd.edu to learn more about the amazing attractions offered at Birch Aquarium!